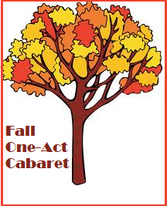 One-Act Sample - Regina Little Theatre Society, Inc.
Friday & Saturday ~ 7:30 p.m.
Bar and food services open at 6:30 p.m. The action takes place in German-occupied France in the summer of 1944. A young French soldier on the run is arrested on the grounds of a country estate. Having no papers, he claims to be the nephew of the estate owner. A German corporal immediately takes him to the house and confronts him with the estate's owner, who turns out to be a collaborator. Perriott is a ten-year-old boy who has learned to speak his mind. Mr. Smith is a bitter, retired lawyer who pushes anyone away who threatens his sad, solitary world. Perriott's mother, Rita, has raised him by herself and hopes he never learns what his father was really like. When Perriott's father shows up at the cafe where Rita works, Mr. Smith offers to help her and the boy. With Rita's problems out of the way, it's time to find out why Mr. Smith is so grumpy. This play is RLT's entry in Theatre Saskatchewan's adjudicated one-act festival to be held in Regina October 31 to November 2, 2013. The play will be performed on October 31. Performed by special arrangement with Playscripts Inc.
A man and woman are at a therapist's office where they have had many sessions. The man has always wanted to say hello to the woman and gets the courage to do so this time. The woman is guarded, but they gradually get to know each other. A 1950s disc jockey chatters giddily with his new girlfriend during the airwave breaks. The romance is severed when the girl's previous boyfriend breaks out of jail and seeks vengeance. Regina Little Theatre Society Inc.
Sign up for our e-newsletter for season announcements, show information, auditions, and more.